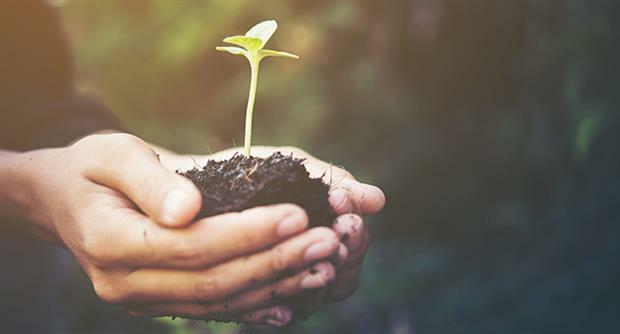 Laura Sullivan at TopCV, the largest CV-writing service in the world, shares her advice on how to ensure your first horticulture CV captures the attention of your dream employer. Writing a CV for your first job in horticulture can be a daunting experience. However, there is a simple formula to ensure your skills and abilities are showcased in the best possible way. Here’s how to create a stand-out CV for an entry-level role in horticulture. Since you’re in pursuit of your first full-time job, you need to get your CV in great shape so that it showcases your relevant skills and abilities. Therefore, you must structure your CV appropriately so it is easy to navigate. Essential sections of your CV include: name and contact details, personal profile, educational history and employment history. You may also like to include a hobbies and interests section if you think it adds valuable weight to your application. Write your CV in a clean font, such as Arial or Calibri, and divide your sections with bold headings. List your roles and educational history in reverse chronological order, utilising bullet points. This clean and professional CV formatting will help recruiters extract the information they’re looking for as quickly and easily as possible. Ensuring your personal profile is punchy and impactful can make all the difference to your application. The profile section sits at the top of your CV, just under your name and contact details, and is therefore one of the first things the recruiter will read. As a result, it must create a positive impression, prompting the recruiter to continue reading. Your profile should be a few lines long, explaining who you are/what you do, what you can offer the company and your career goals. For example, you might be a recent graduate with a 2:1 degree in Horticulture from Nottingham Trent University seeking an entry-level role in Arboriculture. You may have completed several projects on international landscape strategies, equipping you with essential industry knowledge and practices for such a role. You are, therefore, keen to start you career in horticulture, focusing on arboriculture, landscaping and woodland management. The graduate market today is extremely competitive as thousands of graduates every year complete university with virtually identical skillsets. And this is only set to continue with raised levels of investment in horticulture education. To give yourself the best chance of securing your first job, you must make your relevant skills and abilities stand out to prove you’re a good fit for the role. Firstly, go through the requirements listed in the job description and ensure the skills you fulfil are listed on your CV. Where possible, mimic the phrasing of the job description throughout your CV to make it clear you’re a match. For example, if the job requires someone with a 2:1 degree or above and you have this, say so! You can also play with the structure of your CV to make your most relevant skills more prominent. If, like most recent graduates, you have a degree in horticulture but no industry experience, you should list your education section above your employment history. You should also detail key projects that show your suitability for the vacancy. However, if you are one of the lucky few entry-level horticulture professionals who has some relevant work experience, you may like to place this ahead of your education. This CV format is only recommended for those candidates whose work experience is in horticulture and university degree in a completely unrelated field of study. Utilising facts and figures where possible in your CV will help quantify your results and achievements. Completed a range of experiments on 30 species of plants in high-tech laboratories. Project managed a team of five during a woodland landscaping module, developing leadership and teamwork skills. Proficient tree identification knowledge and an understanding of tree safety and hazards from three years of study. By backing your skills with numbers, you instantly validate your abilities and prove the impact you’ll make once hired. 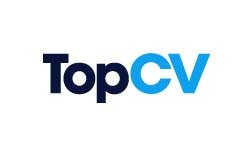 TopCV offers a range of CV-writing services including expertly-written and keyword-optimised CVs, cover letters and LinkedIn profiles. It is currently offering a free CV review to help you land your dream horticulture job. What makes the National Trust a special place to work?